Eddie Jones' team made it three wins from three in the 2017 Six Nations despite the Azzurri's novel tactical approach. 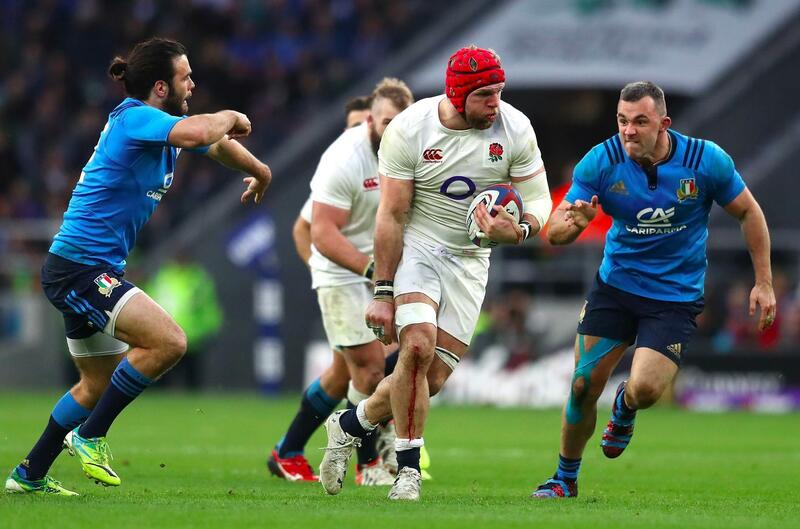 England overcame a tactical conundrum to keep their Six Nations Grand Slam hopes alive with a 36-15 win over Italy on Sunday. Eddie Jones' side came into the clash at Twickenham as heavy favourites to make it three wins out of three in this year's competition, as they seek a repeat of their 2016 Grand Slam. But they were left baffled during a first period in which Italy refused to commit men to the ruck, meaning there was no offside line and the Azzurri forwards were free to step across and cut down the space available to England. The unusual tactic had England asking referee Romain Poite for guidance on the rules but with no help coming from the official, Italy took advantage of their hosts' confusion to lead 10-5 at the break, Giovanbattista Venditti's opportunistic try coming after Dan Cole's score had given the hosts an undeserved lead. The half-time interval provided the break England desperately needed as Danny Care and Elliot Daly touched down inside the first 10 minutes of the second period, only for Michele Campagnaro's excellent solo effort to bring Italy back within two. 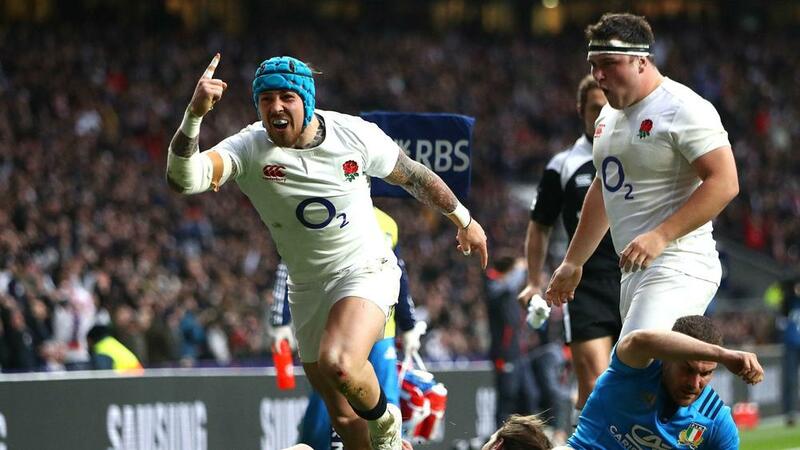 England came again, though, and their first bonus point in Six Nations history was sealed by replacement Jack Nowell, Ben Te'o then marking his maiden start with a fifth before Nowell added his second as the hosts chalked up a 17th straight win. The margin of victory was comfortable in the end, but England were well below their best in the first half and would have been behind had Tommaso Allan not missed two presentable chances from the tee inside the first 20 minutes. Those spurned opportunities were punished as Cole touched down from a rolling maul in the 24th minute, although Owen Farrell set the tone for a poor day from the tee on his 50th cap as he failed with the extras. Some sustained Italy pressure was eventually turned into points in the 33rd minute, Allan dropping for goal and after he struck the right-hand post from a subsequent penalty, Venditti reacted quickly to gather the ball and go over. But Italy were caught cold at the start of the second half, Care taking a quick tap penalty and surging for the line and England were over on the same side three minutes later as a series of offloads freed Te'o, who fed Daly to scamper across the whitewash. On the hour, Campagnaro proved Italy were not done yet by skipping past several weak tackles to score but then extreme pressure on the Italy line allowed England to work the ball to the right for Nowell to secure a bonus point. Te'o added gloss to the scoreline and as Italy tired and Nowell then claimed his brace as England moved three points clear of Ireland atop the table.